Have a reverent, safe and fun Independence Day 2018. Many thanks to those of you and your family members that have served in our US Armed Forces defending our freedom and independence. Thank you for your service to this Scouting organization and your community! This entry was posted in News, Patriotism. Summer camp starts in just about 90 days. Is your unit signed up? Do you have a scout who wants to go but can’t go the same week as your pack or troop? There are promotional materials that you can use with your unit. You can use a YouTube Video (Cub Day Camp or Adventure Camp). You can request a presentation team to come in and help promote summer camp. You can print out Commitment Cards to hand out at a meeting with deposit information included. You will need a current health form (same form for all levels of scouting), so get those appointments scheduled now before the doctors’ offices get swamped. Campership financial aid is available for all eligible scouts. Inability to pay is no reason for a scout to miss summer camp. Speak with your unit chair to assist with this process. Camp Belzer Day Camp. Camp Belzer is here in Indianapolis, hidden behind Lawrence Central High School and across Fall Creek and its namesake boulevard from the Scout Center. This makes Camp Belzer a great place for a day camp. For some families it is a hop, skip, and jump away from Washington Township. For others it takes more thought, but is do-able. It is available from June 11, 2018 to July 21, 2018. You can register your pack here. (Please make sure that you have one parent in charge of this process to avoid confusion or duplication of effort.) You can get more information on the Camp’s website. This year is Camp Belzer’s Centennial, so you don’t want to miss the celebration! They will kickoffwith a Firecrafter Kick Off with Indiana First Lady Janet Holcomb. They will have a Beler Staff Reunion on June 30, 2018 at 1:00 pm. They will have a July 4th celebration open to the public. This is highly recommended for Tiger through Bear Cub Scouts (based on the badge they will pursue in September 2018). A Webelos option is available, too. Camp Kikthawenund’s Adventure Camp. Adventure Camp is an overnight camp held at Camp Kikthawenund in Frankton, Indiana (north of Noblesville by 15 minutes). Adventure Camp supports and utilizes the aims and methods of Scouting as an integral part of the camp program. Adventure Camp will provide an opportunity for Wolf, Bear Webelos, and Arrow of Light Scouts to go camping at the region’s premier Cub Scout Camp. No Tag-a-long program. The eleven different sessions begin on June 10, 2018 and end on July 21, 2018. This is a 3-night/4-day program with overnight camping expected. This is highly recommended for Webelos and Arrow of Light Scouts. Other District Day Camps. Some of our neighboring districts offer day camps. The one that might have the most potential is Sugar Creek District at Camp Cullom in Frankfort, IN the week of June 25th. If you talk real sweetly to our District Executive Jessica Hofman, she might be able to persuade her former district to allow you to participate. If there is interest in holding our own District Day Camp in the future, contact Jessica about your thoughts. A quick overview is available on the Council website. Camp Belzer Day Camp. Yes, Belzer has programming for Boy Scouts, too. There is a Baden Powell program that focuses on merit badge classes and Dan Beard program that focuses on completing First Class Rank. 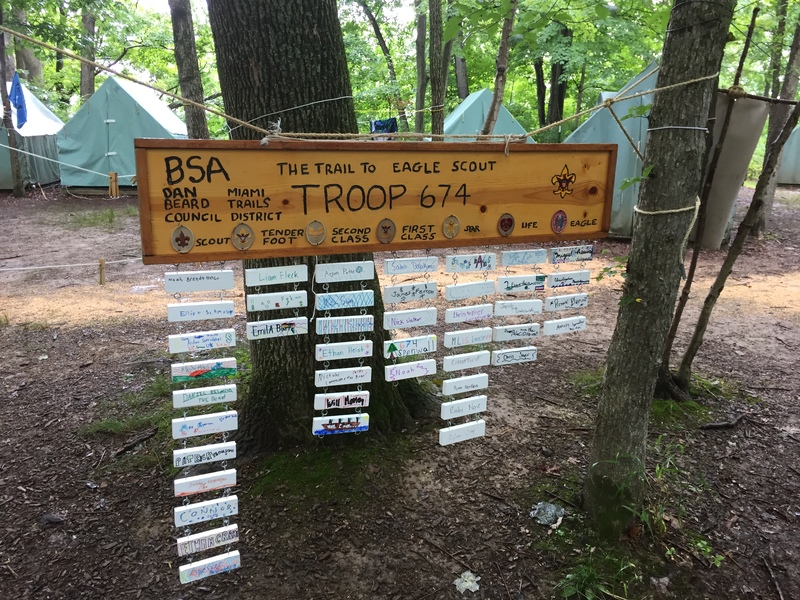 This is a great way for individual boy scouts to complete some of their required merit badges for First Class and Eagle done so that they can truly dive into the elective merit badges with their troop at Camp Ransburg or wherever else the troop goes. Camp Ransburg. Troops can sign up and have the parents pay the camp directly and schedule the merit badge classes online. This is a week-long resident camp with the troop on Lake Monroe. If an individual scout cannot go with his troop or wants to do additional weeks, we can work with that scout to have him participate with another troop. 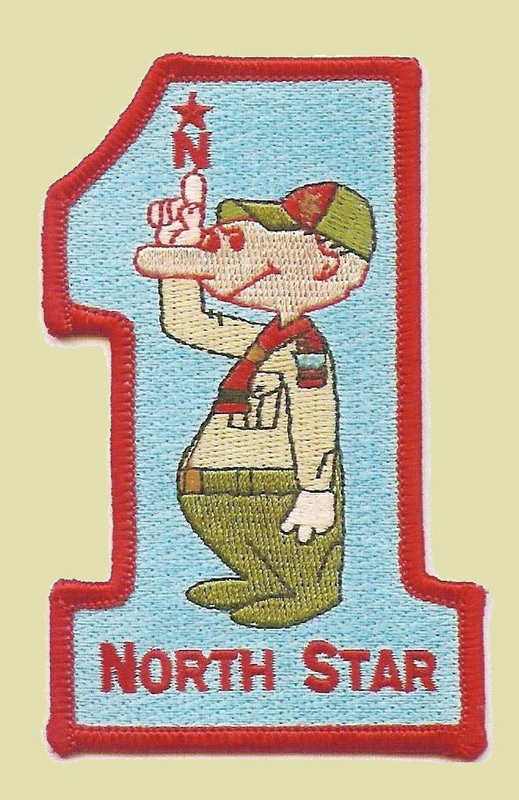 North Star troops have been very cooperative with this “contingent scout” method of camping. Camp Krietenstein. In Center Point, IN, near Terre Haute, Krietenstein offers a more intimate summer camp setting for scouts. It is similar to Ransburg in allowing troop options and contingent scout options. National Youth Leadership Training (“NYLT”). Formerly known in our council as “White Stag,” NYLT is a program for youth in a troop to prepare for senior leadership in their home troop. It is “Wood Badge for Youth.” The participants spend a week in the summer (or weekends during the school year’s Spring and Fall Sessions) participating in a temporary troop. They experience each role in the life of a troop. At least two troops in the District require this training to an Senior Patrol Leader or Assistant Senior Patrol Leader: Troop 358 and Troop 56 (beginning this year). Talk to their scoutmasters about the impact of this training on their experience in managing the troop. The brochure is available here. For older scouts, you can even work at summer camp. You won’t get rich, but you will have an enriching experience. Apply now! This entry was posted in Camping & Outdoor Programming, High Adventure, National Youth Leadership Training, News, Summer Camp. In the Washington Post, from last year that I have been meaning to write about, a fascinating article about emotional isssues that kids in college are facing. The focus of the article that the title suggest the emphasis is on women’s college sports. The content is far broader, even though the persons interviewed are women’s college coaches and affiliate personnel. One strong passage caught my eye. Talk to coaches, and they will tell you they believe their players are harder to teach, and to reach, and that disciplining is beginning to feel professionally dangerous. Not even U-Conn.’s virtuoso coach, Geno Auriemma, is immune to this feeling, about which he delivered a soliloquy at the Final Four. Some of the aspects emphasized apply equally well to scouters working with scouts. It doesn’t take a social psychologist to perceive that at least some of today’s coach-player strain results from the misunderstanding of what the job of a coach is, and how it’s different from that of a parent. This is a distinction that admittedly can get murky. The coach-player relationship has odd complexities and semi-intimacies, yet a critical distance too. It’s not like any other bond or power structure. Parents may seek to smooth a path, but coaches have to point out the hard road to be traversed, and it’s not their job to find the shortcuts. Coaches can’t afford to feel sorry for players; they are there to stop them from feeling sorry for themselves. Coaches are not substitute parents; they’re the people parents send their children to for a strange alchemical balance of toughening yet safekeeping, dream facilitating yet discipline and reality check. The vast majority of what a coach teaches is not how to succeed but how to shoulder unwanted responsibility and deal with unfairness and diminished role playing, because without those acceptances success is impossible. Here is a key conclusion. The bottom line is that coaches have a truly delicate job ahead of them with iGens. They must find a way to establish themselves as firm allies of players who are more easily wounded than ever before yet demand they earn praise through genuine accomplishment. In our role as scouters, we can help prepare our scouts, boys and girls, for their college experience. We can teach them to deal with “unwanted responsibility” such as cleaning up after dinner or cleaning the latrine and with “unfairness” such as being assigned camp tasks too many times when others have not had their rotation. We can be the “toughening yet safekeeping, dream facilitating yet discipline and reality check” that is parents to provide for their own kids. We can be “firm allies” of scouts “who are more easily wounded than ever before yet demand they earn praise through genuine accomplishiment” such as rank advancement, BSA Life Guard training, mile swim patch, or high adventure. This entry was posted in Advancement, Boy Scout, Camping & Outdoor Programming, Co-ed membership, Cub Scouts, High Adventure, News, Scouts in Society-at-Large, Skills, Why scouting?, Youth Training. Are the boys ready for the backpacking trip? Is the Senior Patrol Leader-elect ready for his job? Am I ready to be the Cubmaster, when everyone else tells me I would be great? One of the best reasons that scouting works is that it teaches scouts (and adults) humility in the face of the natural elements and adversity in scout meetings. Why is humility important? Humility is the personal characteristic that a psychologically balanced person has. Humility is not self-deprecation nor self-doubt. Humility is the desire to self-critique that leads to a more thorough and thoughtful response. To get a sense about how important a dose of humility is, consider the impact of a lack of humility in introducing problems. This is the Dunning Kruger Effect. So from this video we see that lacking humility to question preparation and understanding leads to hubris and Greek tragedies (and miserable camping trips). Does your troop or pack take the time to reflect on its successes and failures before going to bed or departing a meeting, when the reflections and lessons are more profound? A scoutmaster or cubmaster suggesting the power of humility during these timely reflections is one of the greatest character building lessons we can offer, that are hard to duplicate anywhere else. This entry was posted in Boy Scout, Character Building, Cub Scouts, Venturing, Why scouting?, Youth Training. Traditionally in BSA units, National recommends that units do an annual planning conference one time per year. This is designed to discuss the budget, annual calendar, and longer-term projects, like high adventure outings. The idea is that at least once per year that the unit makes sure that it is staying on course. This is usually done concurrently with the annual program calendar. The result is that the unit has a full agenda to talk about the calendar. Dealing with other long range issues gets varying discussion and analysis. For units that do the planning as part of an evening meeting, they run out of time quickly. For units that have a full retreat, they have plenty of time, but may have different items on their agenda. Compounding the problem, most officers of the unit only plan to be with the unit until their son (and soon to be, daughters) leave the unit. This makes planning a much shorter term vision than the unit probably needs. But in terms of prioritzation, it allows the players to focus on what affects them and shorten the agenda. Scouting already has a tendency to “meeting” our volunteers to death. We tend to have too many short meetings rather than taking the time to do a retreat once. This entry was posted in Adult Education, Camping & Outdoor Programming, Journey to Excellence, News, Programming, Unit Administration, Youth Training. In some of my reading on other subjects, I ran across some scientific research from the mid-1800’s that I think is fascinating in its potential application to scouting. I am going to go down some complicated paths in this series of articles, so allow me to set the context first. For those of you who have sat on an Eagle Board of Review more than once, you likely can confirm that the following scenario is common. A 17-year old in full dress scout uniform walks in the door. He is often clean shaven (although beards are increasingly common). He walks erect even if slightly nervous about what he is walking into. He firmly shakes hands with each member of the Board of Review. He answers questions about his Eagle project in great detail. He has pride in his accomplishments. He looks the part of an Eagle Scout already. As he sits through the Board, the Board members ask the Eagle candidate to reflect on his beginnings in scouting and his growth. The candidate describes his first campout in the rain. He reflects on his anguish and discomfort. He laughs about how those deprivations are nothing compared to the later discomforts of camping in the snow of winter amidst the howling winds. He reflects on what he learned about overcoming obstacles, adapting, and accepting his circumstances. He has learned that slight discomforts at home are nothing compared to facing the elements and the discomforts Mother Nature offers. In my role as District Commissioner, the BSA charges me with the primary mission of encouraging Best Practices in our units. In other words, I am responsible for being able to explain to leaders why BSA policies are in the best interest of the unit, its leaders, and its scouts. That does not mean that I agree with each and every policy, but it does mean that I should be able to articulate the rationale in the light most favorable to the BSA’s intent. This entry was posted in Adult Education, Advancement, Boy Scout, Camping & Outdoor Programming, Commissioner Service, Cub Scouts, Eagle Boards of Review, High Adventure, Patrol System, Programming, Retention, Scouts in Society-at-Large, Skills, Webelos-to-Scouts Transition, Why scouting?, Youth Training. Have you had your Boy Scouts take their Den Chief Training? In-person is always best. But online is better than none. This requires Flash, so it will not work on Apple mobile devices. If your computer does not have Adobe Flash already, you can download it for free from Adobe.com. Den Leaders, Scoutmasters, and future Den Chiefs should all take the training just to make sure that everyone is on the same page. Den Leaders should have a short bullet-point list of expectations to share with the Den Chief and Scoutmaster to provide accountability and ease of cooperation. Here is an example of where you can start. This entry was posted in Boy Scout, Cub Scouts, Den Chief, News, Youth Training. REMEMBER NORTH STAR IOLS October 27-29. NEW UPCOMING EVENT: Council is conducting a Tiger Scout Forum. Forum will happen in October and November—Tiger leader/parent will attend BOTH sessions. All new Tiger Cub Den Leaders will be invited to the Forum by the district. These will occur on the same night at the District’s Roundtable. These may or may not be at the same location as the District’s Roundtable. Tiger leaders will be taught how to do adventures and they will receive things to help. They will also be trained as Tiger Cub Den Leaders during this forum. A Training Team member needs to be involved with this Forum, but the person(s) running the forum should be about the same age as Tiger leaders—25 to 35 years old. The Training Committee members will be copied on emails about the Forum. David Cobb sent an email to previous instructors at University of Scouting asking if they will teach again. Catalog is ALMOST done. Hopefully the pdf version will be out next week to start sharing. There are about 25 new classes—many of the aimed at Cub Scout Leaders. Wood Badge is in September. 39 are signed up. Looking for at least 8 more participants. First weekend at Ransburg and second weekend at Redwing. Matt Best will be asking for contact information for your district’s social media person— watch for it! Or send it to him so he can promote WB. scoutmastertrp303@att.net. Del-Mi District and Northstar District are teaming up to do an OLS on October 28. They are looking for instructors so if you know someone who can teach a session, send contact information to [Event Chair Stephen Heath (troop 358) arow89@att.net]. Del-Mi District is also hosting Scoutmaster Specific Training and BALOO Training on September 30 at Camp Belzer. Introduction to Outdoor Leader Skills and Outdoor Leader Skills for Webelos Leaders, Saturday, September 23, 8:30 am to 5:30 pm at the Fall Camporee at the Vigo County Conservation Club. This does require overnight camping. BALOO Training, Saturday, April 7, 2018, 8 am to 4 pm. Introduction to Outdoor Leader Skills & Outdoor Leader Skills for Webelos Leaders, Saturday, April 21, 2018 at 8:30 am to 5:30 pm. More details soon. This does require overnight camping. Den Chief Training, Saturday in May, 2018, more details soon. Also, spread the word, see attached flyer for Catholic Retreat for Cub Scouts, Boy Scouts, and Girl Scouts who are Catholic. Here are all the flyers referred to above. Den Chief Training (Required for boy scouts seeking to fulfill their Postion of Responsibility through being a Den Chief to a Cub Scout Den). All of these trainings are offered above at least once. This entry was posted in Adult Education, Den Chief, News, Youth Training.